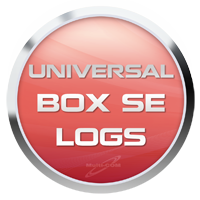 Activation BB5/BB5+ for Universal Box UNLIMITED it's special service dedicated for all users of Universal Box who want to unlock Nokia BB5 and some BB5+ (SL2) phones that till this moments was not unlockable so 5310 Xpress Music, 6500 Slide or Classic as well as 7500. Unlock are unlimited without any credits or Internet connection. Activation are one time paid - after this you can unlock unlimited list of phones. Universal Box logs are pack of logs for RPL BB5 generation, Bb5 activaiton function or Rapido PA_SL2 BB5+ Models: 5320, 5800, 6110, 6120c, 6120N, 6121c, 6124c, 6210, 6220c, 6650, E51, E66, E71, N78, N81, N81, N79, N85, N82, N95_8GB, N96 unlock adn others. Universal Box Blackberry Activation allows to unlock all Blackberry models on the market - including leatest Curve edition. Supported are all versions. Universal Box DCT4+ RSA Activation allows to unlock all DCT4 models on the market - including Nokia 1202,1203,1661, 5030). Supported are all versions. 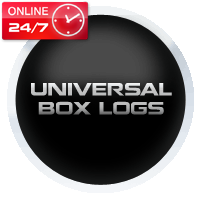 Universal Box SE Android credits are new type of credits or Universal Box that support leatest SonyEricsson Android phones asAspen (M1), W8 Walkman (E16), Xperia ARC (LT-15, SO-01C), Xperia NEO (MT-15), Xperia PLAY (R800), Xperia X8 (E15), Xperia X10 (X10), Xperia X10 mini (E10), Xperia X10 mini PRO (U20), Xperia Yeando (W150). Each unlock operation take 100 credits. Please be informed that those are not standard UB logs ! 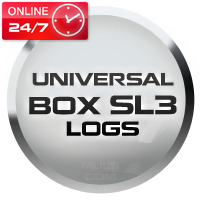 Universal Box SL3 logs are new credits type for Universal Box for Sl3 phones unlocking. By usign those logs you can unlock N97, N97 mini, 5730, 2700 as well as other phones. Please be informed that those are not standard UB logs !